Russian Alligator class large landing ship Nikolay Filchenkov making her south bound passage through Istanbul, again with much cargo on her deck. Photo: Yörük Işık. Used with permission. Russian Alligator class large landing ship Saratov making her south bound passage through Istanbul, again with much cargo on her deck. Photo: Yörük Işık. Used with permission. The flagship of the Russian Black Sea Fleet, Moskva going to the Mediterranean to take part in a naval exercise. Photo: Yörük Işık. Used with permission. Russian Krivak class frigate Ladny going to the Mediterranean to take part in a naval exercise. Photo: Yörük Işık. Used with permission. Russian Tarantul class corvette R-109, passing thorugh Bosphorus. Photo: Yörük Işık. Used with permission. Russian large landing ship Alexander Otrakovski returning from her Mediterranean deployment. Photo: Yörük Işık. Used with permission. 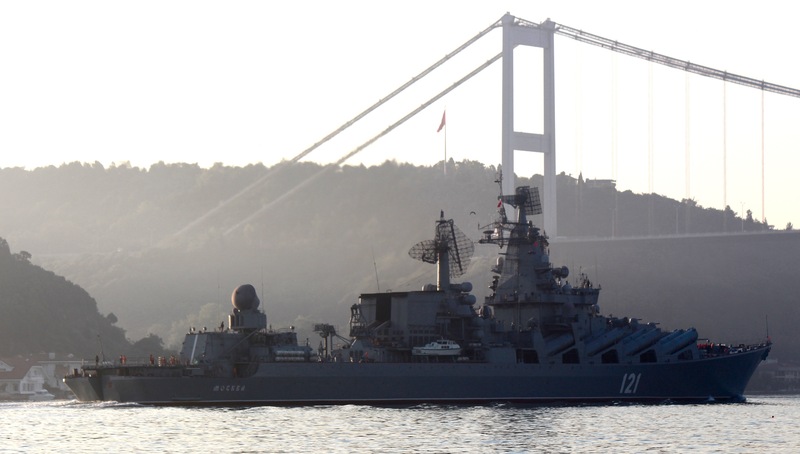 Last week we have saw a drastic increase in Russian warships movements through Turkish Straits. 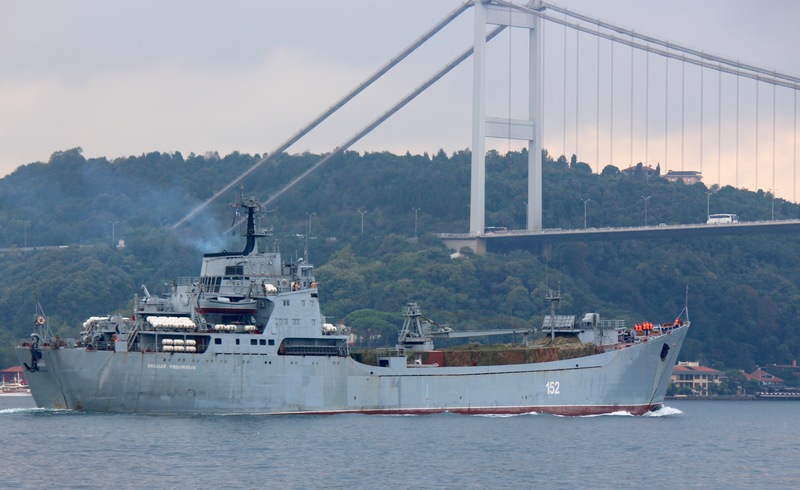 One ship Alexander Otrakovski returned to the Black Sea, while 6 other warships R-109, Ladny, Moskva, Saratov, Nikolay Filchenkov and KIL-158 made their southbound passage. The landings ship are on their cargo delivery missions whereas the larger warships are going to take part in a naval exercise around Cyprus, on 30 September 2015. A lot happening now. Russian jets began tactical strikes in Syria today, and hit everyone EXCEPT ISIS. And, that is not a coincidence nor should it be a surprise to anyone who understands what the real purpose of ISIS’ creation was; i.e. create a logistical land bridge from Iran, to Assad controlled territory in Syria. Russia is hitting the biggest true threats to Assad, and ISIS was never one of them.